Want us to coordinate a Signature Food Fare for your upcoming event? Click "Plan My Tour" to send us an inquiry. Our Signature Food Fare is the perfect indoor private event. 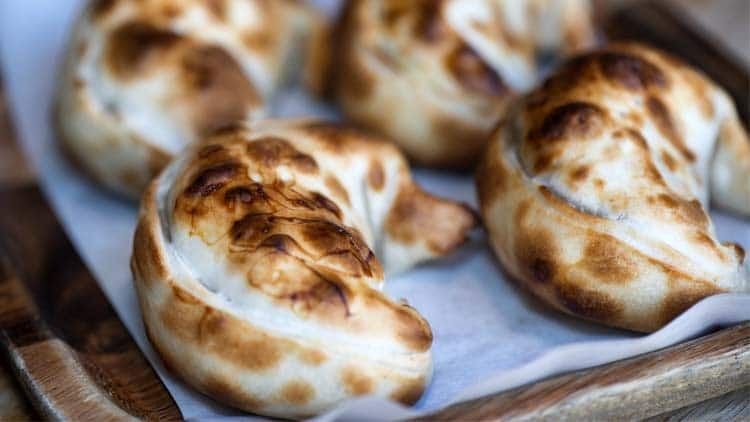 This experience combines all of the delicious, thirst-quenching and informative elements of a neighborhood food experience with the fun, social elements of a food festival in a private, intimate setting. 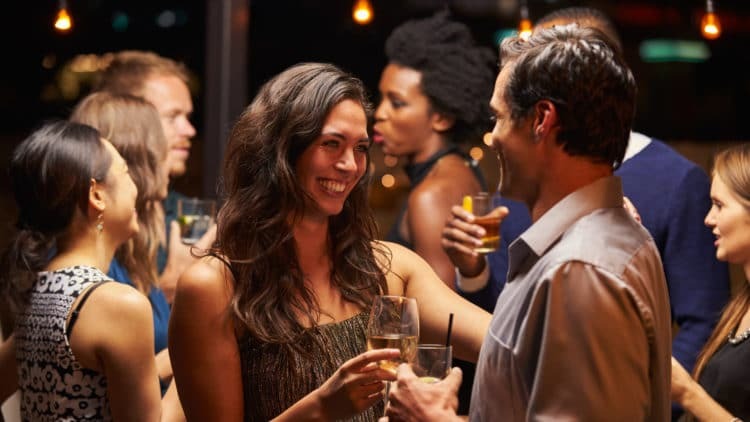 This one-of-a-kind event allows your group of 100+ enjoy Chicago's best foods in one unique location that encourages mingling and guest interaction with themselves. Customize your event to enjoy competitive games of bocce, give signature gifts to each guest, provide transportation to and from the event and even provide an interactive food-themed photo booth for attendees to remember the event. Our unique private event space encourages team-building, socializing, and interaction of our tours all in one location. Full-service event coordination is provided for each event with the opportunity to customize the experience. 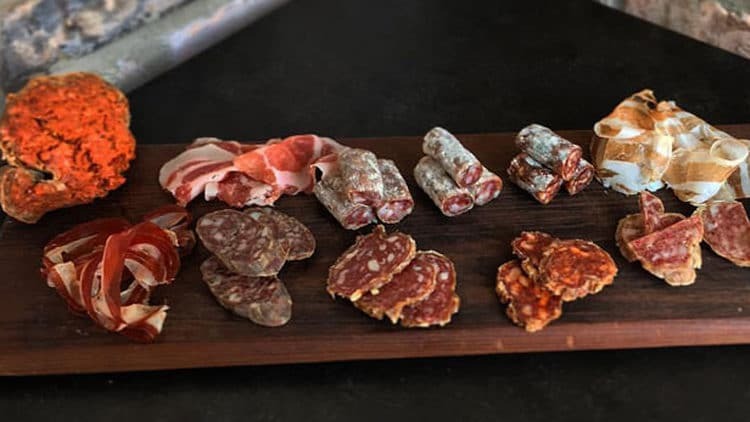 Indulge with delicious bites from 6 different restaurants and specialty food shops that are celebrated by Chicago locals. Engage with the faces behind the restaurants you love. Food demos and one-on-one interactions taking place with food ambassadors. 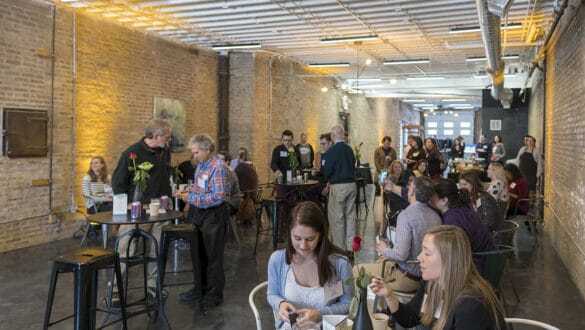 The beautiful venue at Bridge 410 encourages team-building, socialization, and interaction amongst the group while allowing for enough space to host large groups comfortably. 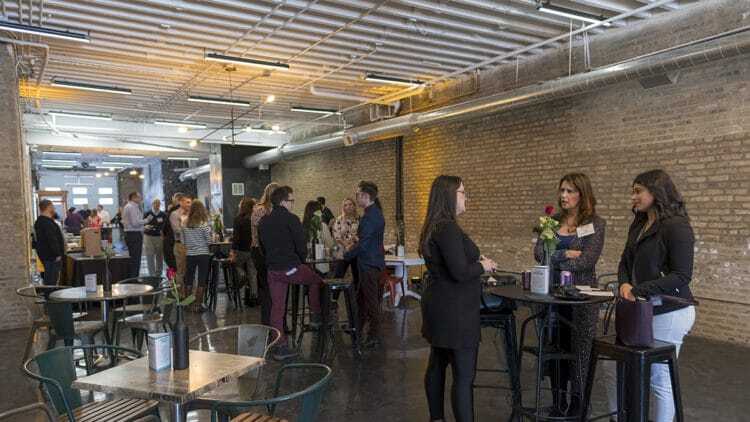 This great private event space includes 20 parking spots in the lot, plenty of street parking, venue management and an in-house audio system at your disposal. 6-8 local restaurants and a Chicago craft brewery can showcase signature dishes and beverage with plenty of variety to accommodate all preferences as well as accommodate allergies and aversions. Engage with the faces behind the restaurants you love. 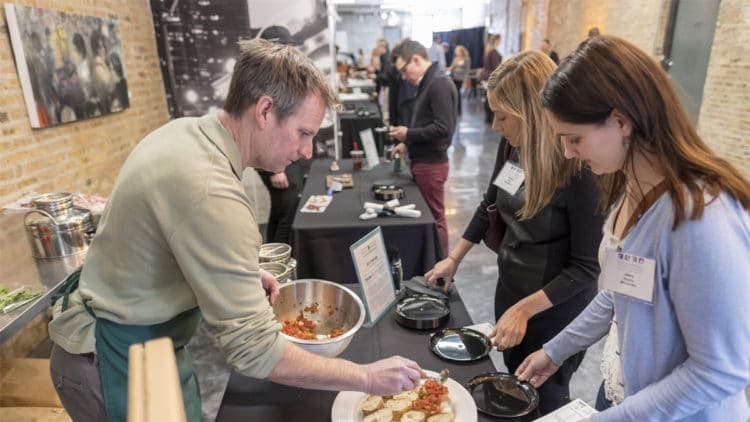 Food demos and one-on-one interactions taking place with small business owners, managers and food ambassadors that can share the special history behind the restaurants, their food, and the Windy City. $25/hr staffing fee per Food Ambassador (minimum of 4 required). Staffing depends on individual capacity of your event. A 20% service charge will be added to the total cost. 50% deposit, final payment due 2 weeks prior to event date. $500 flat rate fee for table rentals (applies to groups of 100+). Contact our Corporate Sales Manager for more information or a proposal: randi@chicagofoodplanet.com. What a fun event! 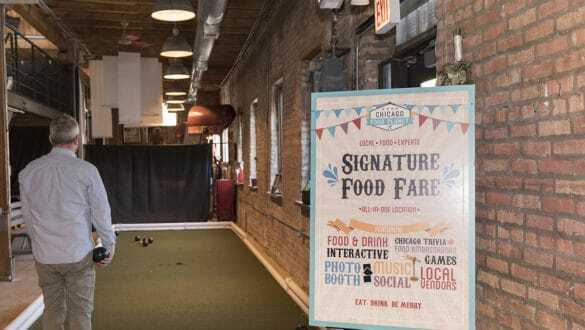 Each station has an iconic Chicago food to tempt your tastebuds and while they are preparing your sample, the experts tell you the story behind the food you are eating. The space has a fun industrial feel with exposed brick. All in, a great space, great food and bocce!